Edmunds.com data suggests the Ford Fiesta is not relying on incentives for sales. Ford says the Fiesta is on average getting more than the suggested base price; in some cases up to $4,000 more. DETROIT -- Ford Motor Co., after posting a record third-quarter profit, will continue to boost net pricing on vehicles by adding content -- and wants to close the pricing gap with Asian competitors. Strong net pricing and low incentive spending helped Ford post third-quarter net income of $1.7 billion, up $690 million from the year-earlier period, the company said today. Ford's previous record for third-quarter net income was $1.13 billion in 1997. For example the new Fiesta subcompact is fetching an average of $3,000 to $4,000 above its $13,995 base price as buyers load it with extra features such as heated leather seats, George Pipas, Ford's sales analyst, said earlier this month. At an average price of $17,020, the Fiesta is commanding about the same average price as Honda Motor Co.'s Civic compact and Toyota Motor Corp.'s Corolla small car, but with considerably fewer incentives, according to data from Edmunds.com. Through September, Ford has sold 10,742 Fiestas. It launched the car this summer. Of those, most are five-door models with high content, said CFO Lewis Booth. Pipas, in an interview with Bloomberg before the earnings were announced, said: "We're not buying share at the bottom of the food chain. People buying Fords today are generally more educated and affluent and they want and are willing to pay for nicer Fords." Ford raised its production forecast and said it will speed up steps to pare debt. The automaker said it will boost fourth-quarter vehicle output in North America by 20,000 units, an increase of 3.5 percent. Under the changed production forecast, Ford will build 590,000 vehicles this quarter in North America. Ford overcame a loss in Europe in posting its sixth straight quarterly profit, and CFO Lewis Booth said the automaker will be "solidly profitable" in the current quarter, too. The automaker said it will reduce its debt by a total of $10.8 billion this year, resulting in a zero net debt position by year end. Ford has reduced its U.S. dealership count by 21 percent since August 2006 to 3,456 dealerships, Booth said. So far this year, Ford has incurred a cost of $290 million in dealership reductions, most of that as a result of the automaker's decision to discontinue the Mercury brand by Dec. 31. Moody's Investor's Service, for example, has upgraded Ford's credit rating five times in the past 13 months. Moody's now rates the automaker two levels below investment grade, a status it lost in 2005. Ford ended the third quarter with $26.4 billion of automotive debt. After it pays off its VEBA obligation on Friday, it will have $22.8 billion in debt. Ford ended the quarter with $23.8 billion in automotive gross cash. Booth said Ford will always carry some debt because it helps the company secure credit. He declined to reveal Ford's ideal debt figure but said the company is a "ways off" from reaching it. Excluding special items, Ford reported a pretax operating profit of $2.1 billion, an improvement of $1.1 billion from a year earlier. Ford said its automotive operations posted a pretax operating profit of $1.3 billion for the quarter, a $953 million improvement from a year earlier. The automaker said it expects each of its automotive units to be profitable in 2011. • North American pretax operating profit rose to $1.6 billion, an increase of $1.3 billion from a year earlier. • European operations lost $196 million on a pretax basis. Ford attributed the results to declining sales and rising costs for commodities and product launches. Ford had a European profit of $131 million in the third quarter of 2009. • South American earnings fell to $241 million on a pretax operating basis, from $247 million. • Asia-Pacific pretax operating profits climbed by more than a third, to $30 million. 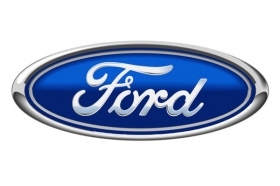 • Ford Credit reported net income of $497 million for the quarter, up from $427 million a year earlier. The company predicted "solid profitability" for Ford Credit in 2011, although at a lower level than 2010. • Ford expects global industry demand for 2011 to increase from this year's levels. • The launch of the Ford Fiesta was disrupted by production issues and storms that interfered with shipments from Mexico. "It was a disappointment because we couldn't satisfy customer demand in the third quarter, but it wasn't a significant impact on cost," Booth said.